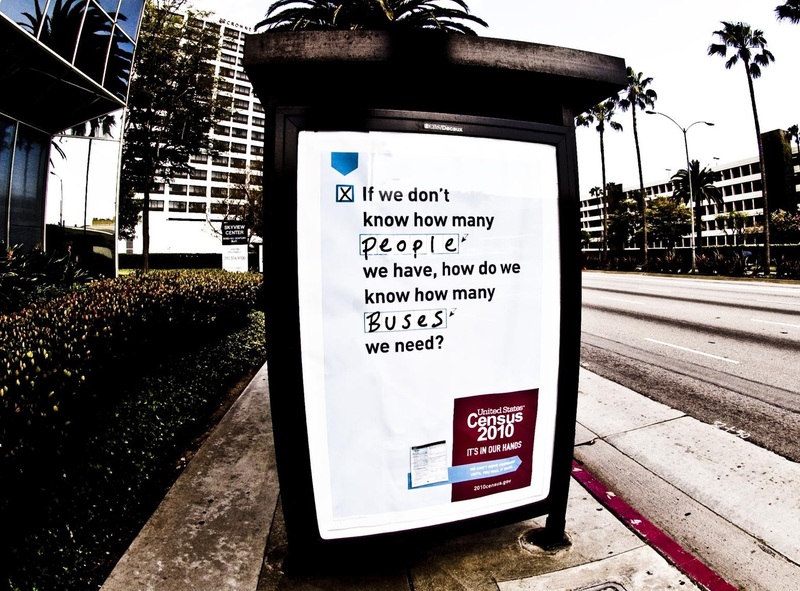 Sign for the 2010 Census at a bus stop (Photo: Ashley Ringrose). As the timeline for launching the 2020 decennial census approaches fast, legal and political controversy surrounds the Trump administration’s inclusion of a question on citizenship status. The question, which was dropped after the 1950 census, was reinstated on March 26, 2018 by U.S. Commerce Secretary Wilbur Ross, whose department oversees the U.S. Census Bureau. Voting-Rights Enforcement or Political Gambit? Rumors began circulating soon after the inauguration of Donald Trump that his administration would seek to include the citizenship question. Days into his presidency, a draft executive order was leaked to reporters that would have directed the Census Bureau to include the citizenship-status question on the 2020 census. Although the order was never issued, Ross over the course of 2017 sought to add the question. Though he told the House Ways and Means Committee that the Justice Department in a December 2017 letter requested the question’s inclusion, the administration recently acknowledged in a court filing that former White House senior adviser Steve Bannon raised the topic with Ross as early as April 2017. During the conversation, Bannon suggested Ross consult with Kris Kobach, the Kansas Secretary of State who is a leading voice in the immigration restrictionist movement. Invoking the December 2017 Justice Department letter, Ross contends the citizenship question is necessary for the Justice Department to enforce, and the courts to adjudicate, violations of the Voting Rights Act of 1965. However, the federal judge in the Southern District of New York overseeing two of the legal cases pointedly noted that the Justice Department has never requested such citizenship-status information in the 53 years since the Voting Rights Act became law, suggesting that this justification may have been pretextual. The judge termed the idea that enforcement of the Voting Rights Act animated the request “unworthy of credence,” noting Ross asked the Justice Department to formally request the question’s inclusion. At the heart of the debate is the interpretation of Article 1 of the Constitution, which provides that the number of persons in each state is to be calculated by means of “an actual enumeration,” known as the census, every ten years, “in such manner as Congress shall by law direct.” Since 1790, the government has conducted the actual enumeration through questions—initially in person and later through questionnaires—about the number of persons living in U.S. households and their demographic backgrounds. Beginning in 1820 and then in the censuses of 1830, 1870, and 1890-1950, one question concerned citizenship status. The government ceased asking that question of everyone in 1960. From 1970-2000, it was asked on the long-form census, which was distributed to just a portion of the population. Since 2005, it has been asked on the annual American Community Survey (ACS), which goes to about 3 percent of all U.S. households. Since 1980, Census Bureau directors have consistently opposed the inclusion of the citizenship question in the general census questionnaire that goes to the entire population. They have based their opposition on grounds that this would undermine accuracy of the census by resulting in an undercount. In moving forward with inclusion of the question on the decennial census, it appears Ross also disregarded input from the Commerce Department’s career research staff that inclusion of the question would harm the census count and be the most expensive option for assisting the Justice Department with data required for enforcement of the Voting Rights Act. Research conducted by the Census Bureau’s Center for Survey Management last year indicated that, even before the news that the citizenship question could potentially be included, some participants might be more hesitant to respond to the census. Respondents in census pretest interviews and focus groups spontaneously raised concerns about topics such as the administration’s controversial travel ban for nationals from several majority-Muslim countries, the end of the Deferred Action for Childhood Arrivals (DACA) program, and immigration enforcement in general. While these concerns emerged in test groups that were not designed to be representative of the whole population, the rates at which people, especially immigrants, expressed confidentiality concerns were higher than in the prior surveys. Further, these concerns seemed to result in more respondents refusing to enter demographic information on household rosters or providing inaccurate information. Under U.S. law, the Census Bureau is barred from sharing individuals’ information with any other federal agency—including law enforcement or immigration authorities—and may use data for statistical purposes only. Individual Census responses are kept under lock and key for 72 years before being released to the public. But this fact is not necessarily well understood. The researchers thus recommended preparing a written statement to reassure respondents “that the Census Bureau does not collect information on immigration status.” Of course, if the Census includes a citizenship status question, such a statement would be inaccurate. Setting the Stage for a Less-Accurate Census? The Census Bureau’s chief scientist concluded that partly because of the expected decrease in response rates, a census that includes a citizenship question would be less accurate. He found that adding a citizenship-status question would increase the number of nonresponse follow-ups, in which a census enumerator must personally visit someone who did not respond to the census in writing. This adds to the cost of administering the census, and these responses tend to be less accurate than self-responses, often because the information comes from a different household member or another proxy. Self-responses are not very accurate with regard to the citizenship-status question, particularly among noncitizens. Between 24-35 percent of noncitizens who were part of the subset asked about their citizenship status on the 2000 census and on the ACS in 2010 and 2016 answered the question incorrectly, according to Census Bureau research. (See Figure 1). In contrast, 1 to 6 percent of citizens answered it incorrectly. Note: For this analysis, Census Bureau American Community Survey (ACS) data were linked to administrative data from the Social Security Administration on the citizenship of everyone who has ever applied for a Social Security Number or Individual Taxpayer Identification Number. Source: Memorandum from John M. Abowd, Chief Scientist and Associate Director for Research and Methodology, Census Bureau, to Wilbur L. Ross, Jr., Secretary of Commerce, “Technical Review of the Department of Justice Request to Add Citizenship Question to the 2020 Census,” January 19, 2018, 1283-4, available online. The chief scientist at the Census Bureau found that administrative data were more accurate than self-responses and recommended using those instead. However, Ross asked the Census Bureau to evaluate the possibility of combining the citizenship question with administrative data. The chief scientist found that this hybrid methodology would be less accurate than using only administrative data, as it would accept some inaccurate self-responses (those for which administrative data were missing) and would only fill in edits and imputations for people not linked to administrative data who left the question blank. How Is Census Information Used? The census is used at the federal level for two purposes: the reapportionment of House seats and distribution of federal funding. Beyond that, it is the linchpin of the federal statistical system and is used by a range of researchers and governmental and nongovernmental entities, including businesses, to inform decision-making on countless subjects. The debate around asking about citizenship has relevance to the question of whether noncitizens should be subtracted from the population totals used to determine the apportionment of congressional seats. The identification of noncitizens in the Census is seen as a step in the direction of excluding them, even though courts have consistently held that the Constitution provides for apportionment based on total—not citizen—population. Since at least the late 1980s, some Republican members of Congress have attempted to pass laws providing either that only citizens be counted for congressional apportionment or that the census ask a question to determine citizenship. Some Democrats have introduced bills that would prohibit the Census Bureau from asking about citizenship or immigration status. None of these bills have passed. The apportionment of House seats in each state is based on the most recent census; if response rates decline, that will affect states’ relative representation in Congress. Because noncitizens, including unauthorized immigrants, are more likely to live in states and metro areas that are Democratic strongholds, excluding them from population counts would serve to dilute Democratic power. Proponents of including the question argue that relying on total population gives states with larger populations of unauthorized immigrants an advantage in Congress, thus incentivizing Democratic cities and states to put in place “sanctuary” policies and giving their citizens disproportionate voting power. Opponents of asking about citizenship argue that states with large immigrant populations could be underrepresented in the House relative to other states. The Census population count also determines the amount of federal funding distributed to states for hundreds of programs. Researchers at George Washington University found that 17 programs with allocations guided by the census accounted for 80 percent of all federal funding to the states ($493 billion out of $620 billion) in fiscal year 2016; the largest of these was Medicaid, which accounted for 58 percent of the total ($361 billion). While most federal programs don’t rely on headcount, some of the biggest ones, including Medicaid, do. Each state’s per capita income, which is calculated by dividing total income by population, determines federal reimbursements and payments within these programs. If the census undercounted a state’s population, the state’s per capita income would appear higher than it really is, and it would lose out on a portion of its federal funding. The decennial census is the gold-standard measure of the size and characteristics of the U.S. population. For every other government survey collected, including the ACS, methodologists assess how well the survey did in capturing a representative slice of the U.S. population by comparing it against the decennial census (with adjustments made to account for changing births, deaths, and migration). If the decennial census misses a large portion of Hispanic or foreign-born residents, for example, then future surveys cannot be adjusted to accurately represent the U.S. population. The battle over the citizenship-status question will be decided in the courts. Though the government has moved to dismiss all six cases, judges have so far allowed five to move forward, and the sixth is pending. While the federal judge in the Southern District of New York concluded in July 2018 that Ross had the authority to add the question, he found that the Secretary’s exercise of that authority could be unlawful on statutory and constitutional grounds. U.S. District Judge Jesse Furman found it plausible that the decision to include the question was arbitrary and capricious, and thus violated the Administrative Procedure Act. He also found it may have had both discriminatory intent and impact, taking into account that Ross overruled the findings of his career staff and neglected to test the question, and thus could have violated the guarantees of equal protection under the Constitution. In the Northern District of California, U.S. District Judge Richard Seeborg in August 2018 allowed two cases to move forward on the claims that the action was arbitrary and capricious, among other grounds. For example, while he found that the Secretary generally has the authority to add a question on citizenship, he noted that in the context of an administration perceived as hostile to immigrants, a citizenship question may “affirmatively interfere” with the actual enumeration, so may not be permissible. In Maryland, U.S. District Judge George Hazel in August 2018 allowed a case to proceed on a similar basis, noting that the Census Bureau itself provided evidence that this question would harm accuracy. The immediate legal fight is over whether the New York judge’s orders seeking the depositions of Ross and a Justice Department official may move forward. On October 22, the Supreme Court allowed the plaintiffs to advance the deposition of this official, Acting Assistant Attorney General John Gore of the Civil Rights Division, who reportedly drafted the department’s December letter requesting inclusion of the citizenship-status question. It also allowed the plaintiffs to obtain additional documents related to the decision to add the question. The court temporarily stayed the deposition of Ross until October 29. If the government files a request for a fuller review by then, the stay will continue until the court rules on that request. Although Ross will not immediately have to share his knowledge, Gore’s deposition and additional discovery may shed new light on the motivation for adding the question. Certainly, Ross’s claim in his March memo to have “prioritized the goal of obtaining complete and accurate data” begs the question of why he chose a method that would explicitly undermine both those goals. January 2017 – An executive order is drafted—though never issued—-that would have directed the Census Bureau to include a citizenship question in the decennial census. February 27, 2017 – Wilbur Ross confirmed as Secretary of Commerce. April 2017 – White House Senior Adviser Steve Bannon requests that Secretary Ross “talk to someone about the Census.” He is likely referring to Kansas Secretary of State Kris Kobach, a leading voice in the immigrant restrictionist movement. July 14, 2017 –Kobach emails Ross to follow up on a phone call that Bannon coordinated “a few months earlier” where Kobach advocated for adding the citizenship question. He says one of the effects of not including this question is that noncitizens are counted for congressional apportionment. September 20, 2017 – A Census Bureau Center for Survey Management memo explains recent “unprecedented” trends observed in immigrants spontaneously expressing concerns about providing personal information on census pretests, and recommends designing wording to reassure respondents that the Census Bureau does not collect information on immigration status. October 12, 2017 – During a House Committee on Oversight and Government Reform hearing, Ross says the Commerce Department lowered the predicted overall response rate for 2020 from 60.5 percent to 55 percent because of the Trump administration’s interior immigration enforcement policies. December 12, 2017 – Justice Department asks the Commerce Department to add citizenship question. December 22, 2017 – Acting Census Bureau Director Ron Jarmin writes to someone at the Justice Department to say the best way to provide citizen voting population data would be through administrative data that the Census already has. January 19, 2018 – Census Bureau Chief Scientist John Abowd writes a memo to Ross evaluating the effect of adding a citizenship question and examining how the Census Bureau could provide the Justice Department with block-level citizen voting-age population estimates. He recommends against adding a citizenship question. January 26, 2018 – Six former Census Bureau directors write a letter to Ross recommending against adding a citizenship question. March 20, 2018 – At a House Appropriations Commerce, Justice, Science, and Related Agencies Subcommittee hearing, Ross is asked by Rep. Jose Serrano (D-NY) whether President Trump or anyone else at the White House directed him to add a question about citizenship status. "We are responding solely to the Department of Justice's request," Ross replied. During the same hearing, in response to a question from Rep. Grace Meng (D-NY) about whether the President or anyone in the White House discussed adding a citizenship question with Ross, the Secretary said he was not aware of any such discussion. March 22, 2018 – At a House Ways and Means Committee hearing, Ross says the Justice Department “initiated the request” for a citizenship question. March 26, 2018 – Ross submits a memo to Karen Dunn Kelley, Undersecretary for Economic Affairs, directing the addition of the citizenship question, supplemented with administrative data. March 28, 2018 – The Trump campaign sends an email to supporters that says the President “officially mandated” that the 2020 Census ask about citizenship. March 29, 2018 – The Commerce Department submits report to Congress enumerating the questions to be asked on the 2020 Census. April 3, 2018 – New York leads a coalition of states and cities filing a lawsuit challenging the question. April 11, 2018 – Residents of Maryland and Arizona file a lawsuit challenging inclusion of the question. April 17, 2018 – The city of San Jose and the Black Alliance for Just Immigration file a lawsuit challenging the question. April 18, 2018 – At a House Appropriations Committee hearing on the Census Bureau, Jarmin says that overall, the nonresponse rate is not expected to increase much (likely less than 1 percent) if the citizenship question is added because it would mostly impact subgroups, likely immigrants and Hispanics. He added the impact of the question would not be minimal; in some communities, it might be important. May 21, 2018 – The state of Alabama and Rep. Mo Brooks (R-AL) file a lawsuit challenging the Census Bureau policy of counting all residents toward the totals that are used for congressional reapportionment, rather than just citizens. May 31, 2018 – A group of ethnic and immigrant groups file a lawsuit in Maryland challenging the citizenship question. June 6, 2018 – The New York Immigration Coalition files a lawsuit challenging inclusion of the question. June 21, 2018 – Ross writes in a memo that he was the one to initially ask the Justice Department whether it would support and request the inclusion of a citizenship question. July 26, 2018 – A U.S. district judge in the Southern District of New York denies the government’s motion to dismiss two consolidated lawsuits. August 17, 2018 – A U.S. district judge in the Northern District of California denies government motion to dismiss two more consolidated lawsuits. August 17, 2018 – A district judge in New York orders that Acting Assistant Attorney General John Gore, who allegedly “ghost wrote” the Justice Department’s December 2017 memo, be deposed. August 22, 2018 – A U.S. district judge in the District of Maryland denies the government’s motion to dismiss a lawsuit. September 10, 2018 – In the cases in the Southern District of New York, the plaintiffs’ attorneys ask the judge to order the administration to make Ross available for deposition. September 21, 2018 – The district judge in New York orders Ross to sit for a deposition. September 25, 2018 – A three-judge panel of the Second U.S. Circuit Court of Appeals declines to block an order to depose Gore. September 29, 2018 – Supreme Court Justice Ruth Bader Ginsberg declines to block district court order for Ross to be deposed without the Second Circuit weighing in. October 9, 2018 – A three-judge panel of the Second Circuit declines to block the order for Ross to be deposed. October 9, 2018 – Ginsberg stays orders for Gore and Ross to be deposed until the Supreme Court rules on the matter. October 11, 2018 – Ross acknowledges he remembers Steve Bannon speaking with him about talking to Kris Kobach about adding a citizenship-status question. October 12, 2018 – The NAACP Legal Defense and Educational Fund files a lawsuit in the Southern District of New York attempting to compel the Justice Department to release documents relating to the decision to request the inclusion of the citizenship status question. October 22, 2018 – The Supreme Court temporarily stays Ross’ deposition, allowing Gore’s to go forward. Several Thousand Central American Migrants Head North in Caravan. What started as 160 people who left Honduras’ capital on October 12 is now a group of between 5,000 and 7,000 migrants, including from El Salvador and Guatemala, heading north toward the United States. In response, President Trump has threatened to cut off foreign aid to the three countries, as well as Mexico, if those governments do not stop the migrants from reaching the U.S. border. He has also hinted at pulling out of a new trade deal signed with Canada and Mexico and said he may close the U.S.-Mexico border. Following the Trump threats, the President of Honduras appeared on television warning people not to join the caravan, and the Mexican government sent hundreds of federal police, as well as representatives of its refugee agency, to its southern border with Guatemala. Mexico’s government stated that migrants without proper documentation will not be allowed into the country. While it has maintained this position at official points of entry, it has generally stood by while migrants entered illegally. Following a previous migrant caravan in April 2018, Trump had governors call up National Guard troops to send to the border. These troops are prohibited from engaging in enforcement of domestic law but have been supporting Border Patrol agents in nonenforcement roles in the months since. New Rule Proposed to Consider Immigrants’ Likely Public Benefit Usage When Adjudicating Visas. On October 10, the Department of Homeland Security officially issued a proposed rule that would make it more difficult for low-income immigrants to become permanent residents of the United States or extend their temporary visas. The rule is based on the statutory requirement that immigrants admitted to the country are not likely to become public charges—that is, depend on the U.S. government for assistance. It would penalize applicants who have used or are likely to use a selection of non-cash federal public benefits, such as food stamps and public housing, in addition to considering use of cash assistance, as is current policy. The proposed rule also encourages visa adjudicators to evaluate the likelihood of someone becoming a public charge, based on the “totality of circumstances” (e.g., the size of their family, age, income), an element of the determination that has rarely been employed in the past. Factors that will not be included in such an evaluation include benefits accessed prior to enactment of the rule, and those used by an applicant’s family members. Public comments to the proposed rule can be submitted until December 10. After the agency reviews the comments, a final rule will be issued. Supreme Court Hears Arguments in Nielsen v. Preap. The Supreme Court on October 10 heard oral argument in a case, Nielsen v. Preap, that challenges the practice of detaining without the possibility of release all immigrants in removal proceedings who have committed certain crimes. The specific question is whether U.S. Immigration and Customs Enforcement (ICE) can indefinitely detain immigrants subject to mandatory detention when it arrests them years after they were released from criminal custody. The plaintiffs argue that the statutory provision allows mandatory detention only soon after release on criminal charges, not years later. The arguments before the Supreme Court focused on what would be a reasonable period of time within which ICE could detain released noncitizens without offering the possibility of bond. If the oral argument offers any indication, President Trump’s two appointees, Justices Neil Gorsuch and Brett Kavanaugh, seemed split, with Gorsuch more skeptical of the government’s argument and Kavanaugh more supportive. Federal Judge Temporarily Halts Four TPS Terminations. A U.S. district judge in the Northern District of California issued a preliminary injunction on October 3 prohibiting the federal government from terminating Temporary Protected Status (TPS) for nationals of El Salvador, Haiti, Nicaragua, and Sudan, while an underlying lawsuit moves forward. TPS is a status designated by DHS to protect immigrants already in the United States whose countries of origin are suffering from armed conflict, environmental disaster, or other unusual and temporary circumstances. The Trump administration has terminated TPS for every country where it believes the initial-designation conditions have abated, regardless whether new conditions make the country unsafe or would prevent the government from integrating returnees. In his ruling, U.S. District Judge Edward Chen found that plaintiffs—a group of TPS holders and their U.S.-citizen children—made plausible arguments that because the administration’s policy of not factoring in new conditions in a country represented a significant change, it was required under law to provide an explanation. The judge also said there were legitimate questions whether the TPS terminations were “based on animus against non-white, non-European immigrants,” which would violate plaintiffs’ guarantees of equal protection under the Constitution. TPS for Sudanese nationals would have ended on November 2, and for the other three in 2019. The government has appealed the decision to the Ninth U.S. Circuit Court of Appeals. Trump Administration Admits Historically Low Number of Refugees in 2018, Plans the Same for 2019. The Trump administration admitted the lowest number of refugees in fiscal year (FY) 2018—22,491—since the refugee resettlement program was created in 1980, beating the previous FY 2002 low of 27,131, in the aftermath of the September 11 attacks. The number of refugees admitted is less than half the 45,000 ceiling the administration had set for 2018. The FY 2019 ceiling has been set at 30,000, the lowest ceiling since 1980. The admissions process was slowed by the 120-day pause in resettlement triggered by the travel ban executive order issued in March 2017, as well as an additional 90-day pause for refugees from 11 countries deemed to be security risks. Although resettlement has resumed, additional security vetting for all refugees has slowed the process. It has been further exacerbated by the relocation of 100 refugee officers who usually conduct refugee interviews overseas to the U.S.-Mexico border to screen Central American arrivals. DHS Watchdog Describes Poorly Coordinated Rollout of Zero-Tolerance Policy. The DHS Office of Inspector General (OIG) found many failures of communication and some violations of law and policy in its investigation of the implementation in May 2018 of the Trump administration’s zero-tolerance policy for unauthorized border crossers. The policy was an initiative of the Justice Department and U.S. Customs and Border Protection (CBP), wherein CBP aimed to refer everyone it apprehended crossing the U.S.-Mexico border illegally to the Justice Department for criminal prosecution, including adults who crossed with their children. The result was family separation, which sparked widespread U.S. and international condemnation. OIG found that the government agencies lacked any adequate way to keep track of the parents and children they separated. Although DHS claimed that it shared a central database with the Department of Health and Human Services—the agency that took custody of children separated from their parents—OIG found no evidence that such a database existed. This resulted in ICE, for the first month of the policy, making no efforts to identify and reunite families prior to an adult’s removal. Babies and toddlers, who could not talk, were separated from their parents, with no way to identify them. Because CBP officers did not want to complete extra paperwork to readmit adults after they were prosecuted, they dispatched them to ICE custody even when the children remained in CBP custody and could have been reunited, the report found. CBP’s detention of children for more than 72 hours violated the standards laid out in the Trafficking Victims Protection Reauthorization Act of 2008. From early May to mid-June, for example, the Rio Grande Valley sector held 44 percent of children (564 children) for longer than 72 hours. Justice Department Places Additional Immigration Conditions on Federal Grants; Chicago Sues. The Justice Department has placed conditions that several federal courts have previously found to be unlawful and unconstitutional, and has added new conditions, on the 2018 Byrne Justice Assistance Grants (JAG), which the department distributes annually to states and localities. The city of Chicago on October 12 sued the Justice Department, arguing that it exceeded its statutory authority in adding these conditions and violated the separation of powers and the spending clause of the Constitution. The conditions in question that have previously been struck down by federal courts are that grantees allow ICE agents into local jails in order to interview people they think are removable, that grantees notify ICE prior to the release of people suspected to be removable, and that grantees comply with a federal statute that prevents states and localities from restricting the sharing of individuals’ citizenship status with federal immigration authorities. Several federal courts have found that statute unconstitutional. In addition to these old conditions, the Justice Department has added a new condition that grantees not disclose any federal law enforcement information (e.g., warn of upcoming ICE enforcement actions), which, it argues, would amount to harboring removable noncitizens. Although Chicago is challenging the addition of these conditions only to the Byrne JAG program, which supports local law enforcement initiatives, the Justice Department has expanded at least one, and sometimes all, of these conditions to five more grant programs. These include a program to address chronic crime problems, one aimed at preventing unaccompanied child migrants from joining gangs, and one aimed at addressing general gang violence. California DMV Registers at Least One Noncitizen to Vote. California’s new system of automatically registering people to vote when they get or renew their driver’s licenses has mistakenly registered at least one and up to 1,500 noncitizens to vote. Incorrect registrations will be canceled by the Secretary of State. These errors are on top of 23,000 voters who were registered incorrectly between April and August, some with the wrong political party. State Judge Exempts California’s Charter Cities from “Sanctuary State” Law. An Orange County Superior Court judge on September 27 found in a lawsuit brought by Huntington City against the state of California that California’s 121 charter cities do not have to comply with the California Values Act, otherwise known as the sanctuary state law. Charter cities, which are designated as such by voters, have independence from the state in organizing their local government and can enact legislation that may vary from state law in issues of municipal governance. Huntington Beach argued in its lawsuit that the Values Act interfered with the city’s charter authority. The Values Act, effective January 2018, prohibits local law enforcement from complying with ICE detainers and from deputizing officers as immigration agents, and limits the instances in which local law enforcement can notify ICE of the upcoming release of someone ICE had determined to be removable. The judge acknowledged that the case will likely be appealed and end up at the state Supreme Court.